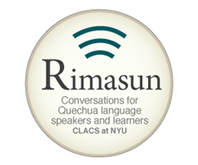 The CLACS Teacher Residency Program is a unique opportunity for New York City educators interested in professional and curriculum development on Latin America and the Caribbean. The program aims to provide a space for teachers to grow their own knowledge base, gather and create accessible and engaging teaching materials, and share materials with other educators. Are you a K-12 educator? You are eligible to participate in the Teacher Residency Program, through which you gain access to NYU faculty, staff, library and resources! Learn how to apply. 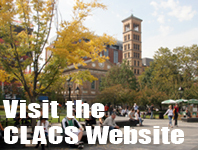 This year, CLACS will be running two concurrent Residency Programs, one on US-Mexico topics and one on Andean topics. Past Residency Programs have focused on Teaching the Cold War and Latin America, and Latin American Migrations. 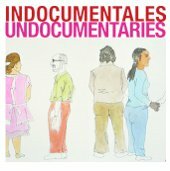 The first section of the residency on US-Mexico topics will give teachers the opportunity to collaborate with the Indocumentales/Undocumentaries: US/Mexico Interdependent Film Series project, and will be run concurrently with a graduate-level design course entitled Public Project at the Pratt Institute. 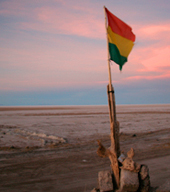 Participants pursuing the second residency theme, topics related to the Andes, will expand their own knowledge base, gather and create accessible and engaging materials for a Middle or High School audience, and share materials with other educators. Residents will have the opportunity to connect with programming initiatives stemming from the CLACS Andean Initiative. Topics of focus could include indigenous movements, colonization, multiculturalism, power, natural resources and land rights, quechua and kichwa languages. Visit the Teacher Residency Program page on the CLACS website for more information and to apply. Learn more about the CLACS K-12 Outreach Program and K-12 curricular materials. This entry was posted in CLACS News, K-12 Outreach and Education and tagged Andes, education, Mexico, teacher residency. Bookmark the permalink.